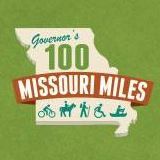 CyclingSavvy offers courses in Missouri, mostly in the St. Louis area. You can find out more or contact them on the CyclingSavvy St. Louis Facebook page. See the list of Bike Ed classes & clinics (that we know about) to the right. Taking one of the League of American Bicyclists BikeEd courses is a fun way to improve your bicycling skills and safety. Even experienced bicyclists learn a lot by taking the course. Many MoBikeFed members and board members have taken the Road I course. Four MoBikeFed board members and about 16 MoBikeFed members are currently certified League Cycling Instructors. Why take a Bike Ed class? You might think that Bike Ed classes would be good for bicyclists who are just starting out or getting back into riding (and they are! ), but experienced bicyclists may gain even more benefits from a Bike Ed class. I found that after taking Road I, I experienced far fewer conflicts on the roads. After riding for years I decided to sit in on the course and learned that I a) rode too close to parked cars b) did not move left enough at intersections to avoid right hooks, or close calls c) was uncomfortable about my maneuvers to get into the position to make left hand turns d) did not operate my brakes efficiently. All of these things were subtle, but once I began to practice my newly learned skills, the negative experiences dissipated greatly.